We also work closely with home buyers, sellers, and realtors. Certificates of Inspection are offered for those require a VA/FHA certification. Oriole Basement Waterproofing, Inc. has the LOWEST Maryland Home Improvement Commission License number (#4247) than any other basement waterproofing company in the State of Maryland. MHIC numbers are now in the hundreds of thousands. Family Owned & Operated Interior & Exterior Waterproofing Solutions Since 1953. For over 60 years, Oriole Basement Waterproofing has been providing residential and commercial services to Maryland. Locally owned and operated, our knowledgeable and professional staff delivers quality workmanship at a competitive price. You’ll have peace of mind with Oriole Basement Waterproofing’s lifetime, transferable warranty. A camera inspection is included in your free estimate and inspection. When quick fixes aren’t enough, then more elaborate and detailed measures may be in order. The Illustration below shows four different ways to deal with a persistent wet basement, ranked in order of increasing complexity. Choose the solution that best fits your situation and budget and causes the least disruption to your home and property. 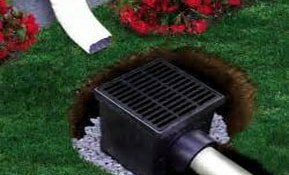 Installing an exterior drainage system at an existing building is the most costly, but also the most effective water control approach. Installing a interior drainage system at an existing building is the most costly, but also the most effective water control approach. Needed waterproofing done in basement to pass inspection for bank. Bid was much lower than other companies, for the same amount of work. given the circumstances of the condition of the basement and other factors. the job was completed in a timely manner, and dedication of crew was excellent. they were out working until midnight the last night to finish the job up. the company includes a lifetime transferrable guarantee also, which is nice. The owner was very good to work with. Has been in business for over 50 years in the waterproofing business. We have referred many friends and associates to Oriole Basement and they have always been pleased with their work. 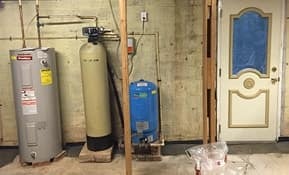 We used Oriole Basement Waterproofing to have our basement waterproofed in June of 2017. We dealt directly with the owner of the company, Frank, who provided a very informative and professional presentation. He was knowledge and made us feel at ease with the work being completed in our home. He was also very flexible and willing to work within our budget. Workers were also timely and respectful of our home. Overall, my wife and I had a very positive experience. Our basement has since been bone dry and we would highly recommend working with Oriole to anyone. Receive a FREE ESTIMATE and LIFETIME, TRANSFERABLE GUARANTEE with all work performed.